There’s nothing like a delicious, fresh pizza. In fact, the only thing better is having one delivered right to your door. 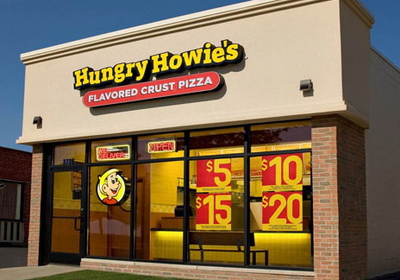 You can choose from dozens of chain pizzerias, but what about Hungry Howie’s? If you live near one of these franchise locations, then you might be more than a little curious about what they have to offer when it comes to delivery. Do they charge a fee, do they deliver to your house, and how late can you place an order? This article contains all the information there is to know about this pizza place from their inception to ordering a pizza tonight. Here is your Hungry Howies delivery guide. Hungry Howie’s is a chain of pizza and sub restaurants in the United States. Founded in 1973, the company now has over 550 location, making it the 11th largest pizza chain in the country. This vast operation, however, started with humble beginnings. Founder Jim Hearn started Howie’s by turning a hamburger shop in Detroit into a pizzeria that offered carry-out delivery. At the time, Steve Jackson was Hearn’s delivery person. Jackson would later partner with Hearn to expand their pizza shop into a franchise. The franchise continued to expand, reaching a milestone of 300 locations in 1995. Pizza Today magazine awarded the company “Chain of the Year” in 2004. Well before these accomplishments, Hungry Howie’s pioneered a new vision for pizza: flavored crusts. Their menu also features a variety of flavored chicken wings, salads, subs, and bread in addition to their pizzas. Every delivery order is tracked via their HowieTrack system, which is similar to postal tracking. Customers can enter their phone number to find out how much longer their order will take and where the driver is at while in route. Pizzas range in size from Junior (eight inches) to Extra Large (sixteen inches) and come in a variety of styles common to pizza chains. Menu items include vegetarian and gluten-free options, while pizzas can be ordered in original, deep dish, or thin crust styles. Their subs, salads, and other items are all pizza shop favorites. In addition to their meal items, Howie’s also serves cinnamon bread and brownies as desserts. Finally, the company hosts a Love, Hope & Pizza campaign each October. During this month, they deliver their food in pink boxes to support the National Breast Cancer Foundation. Proceeds during this time have raised over two and a half million dollars towards finding a cure. 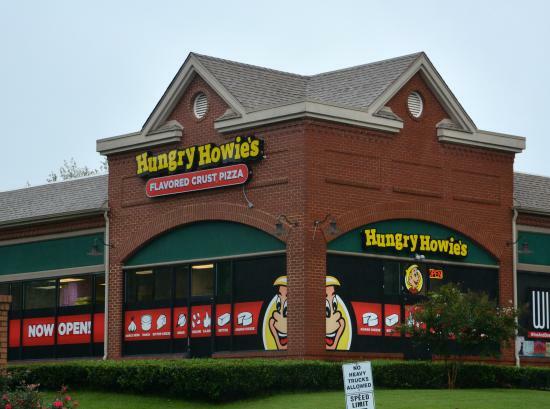 While Hungry Howie’s is primarily located in Florida and Michigan, they own locations in sixteen states. Each location is independently owned and operated within the franchise. Some states have one or two locations, while others have dozens. For a full list of sites, use the company’s location finder. You can enter your state, city, or zip code to find the closest store to your home. Every order is made at the time it is placed, then boxed and put into a heating bag. The order is then delivered, just like any other pizza franchise in America. Also like those franchises, you’ll need to be in the delivery radius to have your pizza sent to your door. There are no specific guidelines for how far out a store will deliver. Like any pizza place, each location can choose what their delivery area looks like. Some may deliver up to twenty miles, while others may only deliver five (five miles is a common minimum across chains). Factors like everyday traffic and customer density play into a delivery driver’s ability to reach your home and head back to the store with ease. Since each of Howie’s locations is independently owned, it is up to the owner to decide how far their delivery area reaches. After locating your closest store, give them a call to find out which areas they deliver to. By typing in your address, they can quickly find out if your home falls inside of their radius. Hours, like delivery areas, depend on the owner of that location. However, the vast majority of Hungry Howies open their doors at 11 a.m. Some places open as early as 10 or 10:30 a.m. While some locations close at 9 p.m., most stay open and accept orders for delivery until 10 p.m. Some metro locations even stay open late at night, with a store in Ohio accepting orders until 2 a.m. To find out how late you can order a pizza, give your closest Howie’s a call or check on the Hungry Howies website. The price of your order depends on the items you choose. Menu items range from as low as $0.69 for dipping sauces and as high $20 for a large two-pizza special with one topping and bread. Adding toppings and additional item will, of course, increase the price. Pizzas start as low as $4, with The Works Pizza costing the most at $11. Keep in mind that these prices can vary by location. The costs listed in this article are averages that you might find when ordering. As for fees, well, that varies too. Different locations usually charge anywhere from three to five dollars if you want to place an order for delivery. It’s important to understand that fee is not a tip, though. A portion of the delivery fee might help the driver pay for gas, but most franchises use this fee to insure their driver’s cars in case of an accident. That may or may not be the case at your local Hungry Howie’s. If you’re wondering what their fee is for, it never hurts to call and ask. Finally, there is the matter of tipping your delivery person. How much you decide to give them is entirely up to you, but it’s something you might want to factor in when ordering to help calculate your total cost. Like any pizzeria, you can always call to place an order for delivery. Howie’s also offers an online ordering platform through their website. Ordering is a simple process that takes as little as five minutes. To start, log into your Hungry Profile. If you aren’t signed up with Hungry Howie’s, you can do so for free. All you need to do is hit the sign-up button to have your address and order information saved on file. If you don’t feel like signing up, you can always place a guest order. When signing up or ordering as a guest, you’ll be prompted to enter your location details. Fill out the sections for your address, then hit the “find a store” button. Pizzas have numerous options to choose from, including selecting toppings on half instead of the whole pie. You can choose how light or well-done you want the crust cooked, if you want extra of anything from sauce to toppings, and the type of pizza you want to order. Other menu options have similar choices to choose from and plenty of extras to add on if you wish. The only non-customizable items are their brownies and rolls. There are all sorts of dipping sauces to choose from as well. After adding the items to your cart, select checkout to finish placing your order by providing your credit card information. Once your order is finalized, you can check on the status anytime through their delivery tracking service. You will also have the option to sign up using the information you provided. If you plan on making future orders, this saves a lot of time. Hungry Howie’s is an excellent option for carry-out or delivery. They receive consistent four-star ratings from thousands of satisfied customers. With a simple ordering system and numerous locations across the country, you can enjoy a fresh pizza in no time. Whether it’s pizza night for the family, a quick dinner for you and your friends, or a delicious meal all to yourself, nothing beats delivery. Head over to Hungry Howie’s website to see if there any locations near your house and give them a try. Who knows, it could be your new favorite pizza place! Hey Buddy!, I found this information for you: "Hungry Howie’s Delivery Guide: Areas, Hours And Fees". Here is the website link: https://all2door.com/hungry-howies-delivery-guide/. Thank you.